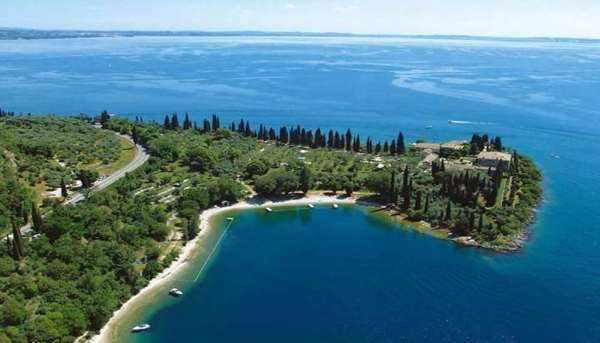 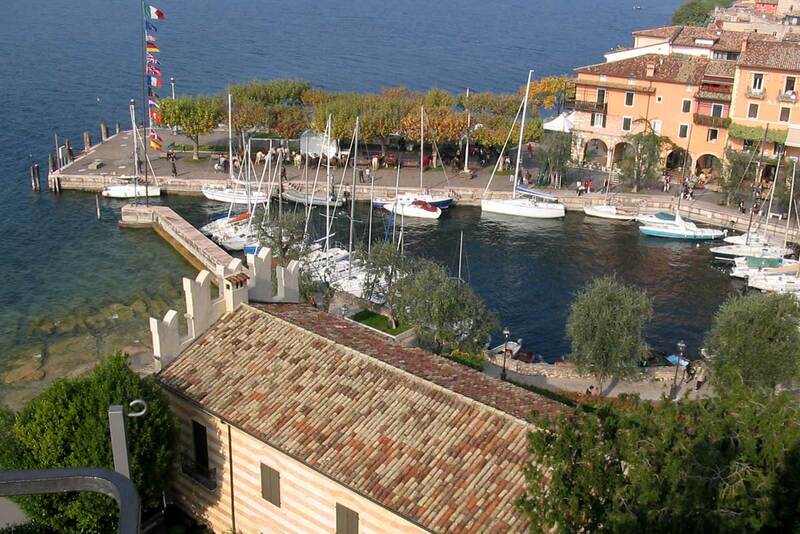 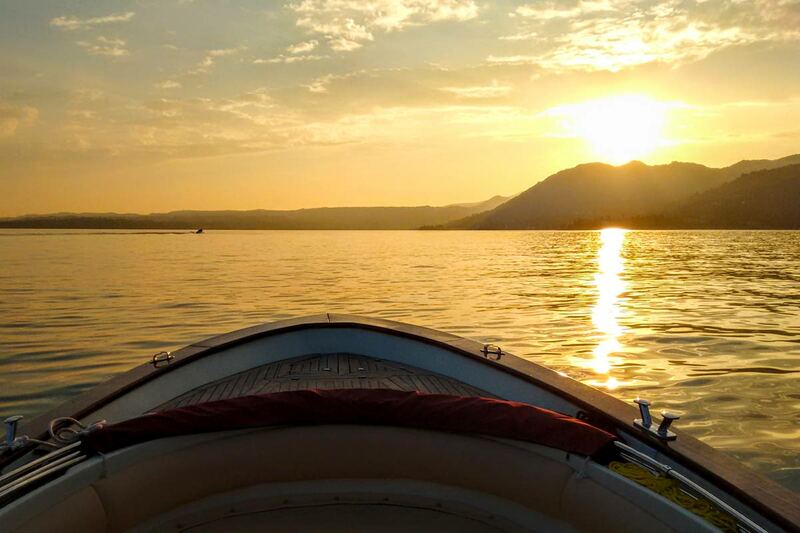 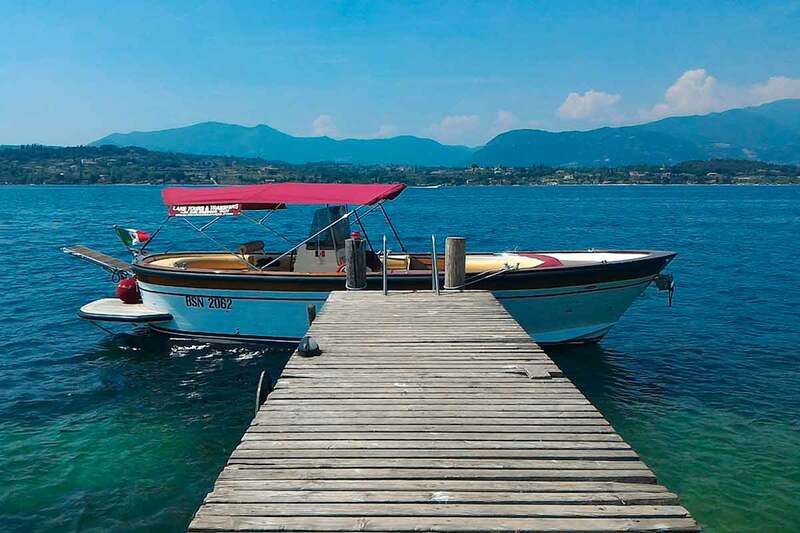 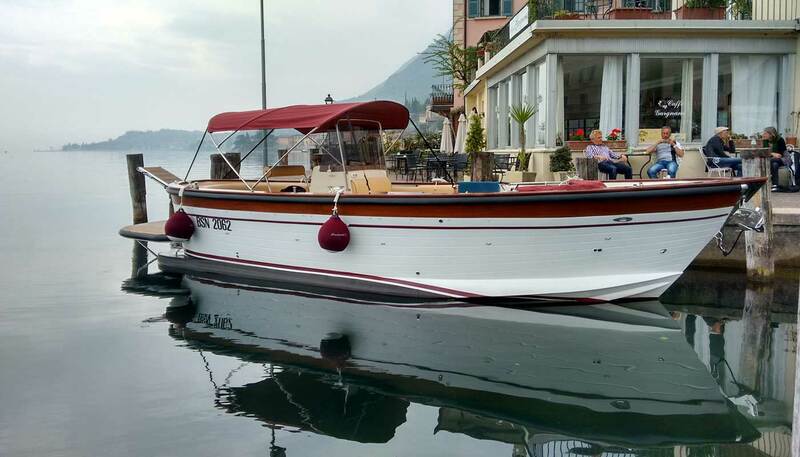 We will sail in direction Gardone Riviera and Fasano, and then continue to north along the west side of the lake, watching Maderno village and sailing along the coast of Gargnano with its famous lemon plantations. 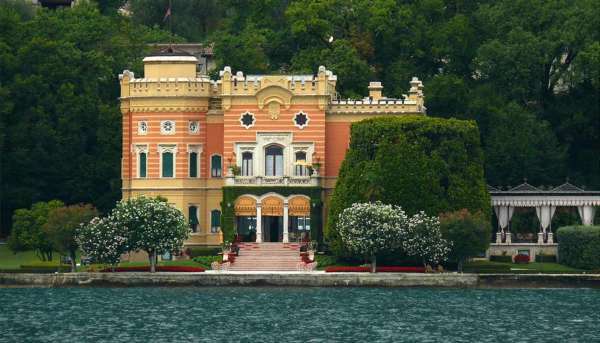 You will see Villa Bettoni and its gardens and the important Villa Feltrinelli facing the lake. 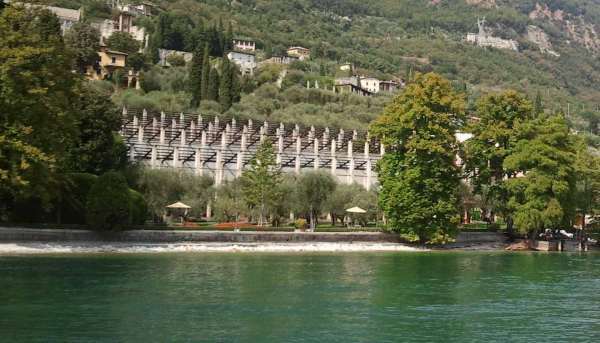 Villa Feltrinelli was once the house of Benito Mussolini and now is a luxurious resort. 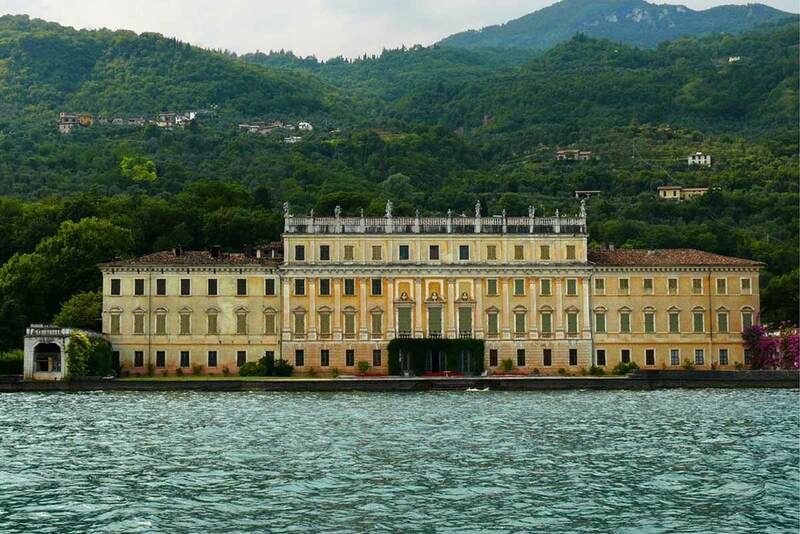 We will cross the lake to its east side and reach the Benaco Towers, Mermaids Bay and Punta San Vigilio. 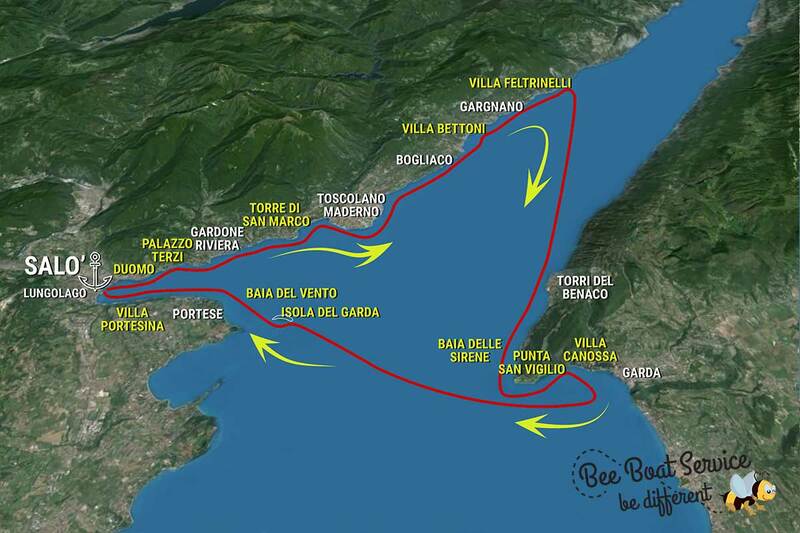 While returning to Salò we will pass in front of Garda Island.